Mad Catz Enters The Android Console Market With M.O.J.O. 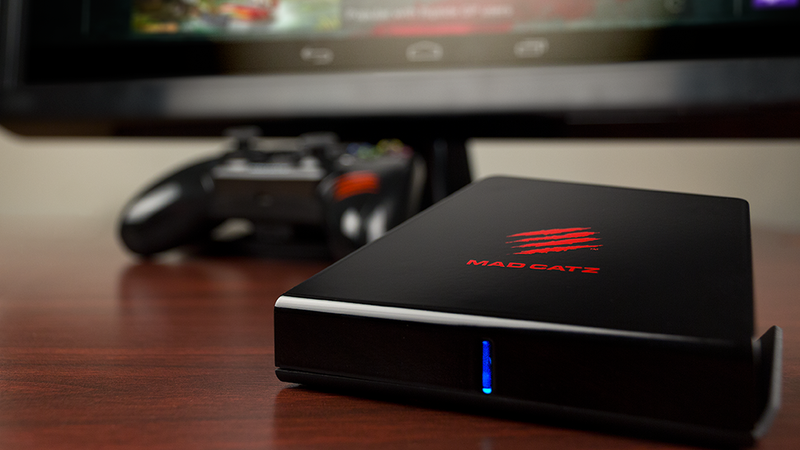 There's just no stopping Mad Catz's mad expansion plans. The peripheral maker has turned software publisher over the past couple of years, and this holiday season it takes a stab at console manufacturing with the M.O.J.O. Android console. Another Android console? Isn't this just a super-charged Android phone without the screen, like the Ouya or Gamestick? “M.O.J.O. is basically a supercharged smart phone with no screen that plugs into your flat screen TV to bring the living room experience to mobile gaming. M.O.J.O. is designed to interact seamlessly with our GameSmart controllers, mice, keyboards and headsets, in fact, the entire eco-system of gaming peripherals.” said Darren Richardson, the President and Chief Executive Officer of Mad Catz via official announcement today, so yes. Along with the statement and some shiny pictures come very few actual details. It'll run Android games and movies and music. It'll come packed with Mad Catz's new C.T.R.L.R Wireless GamePad, because Mad Catz likes making it difficult to type out its product names. As you can see in the pics below it's got USB ports and an HDMI out. Other than that, not quite sure how much power this thing will be packing. Tegra 4 would be a wise choice, but who knows? The M.O.J.O. is due out this holiday season, just in time for all of the other major Android consoles to already have been released.